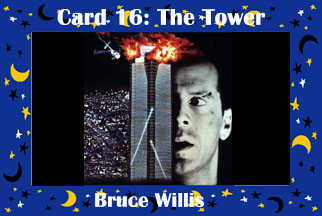 McClane faces trouble at the tower. Life is full of crises. Some people seem to encounter them more than others. In fact, some people seem to live from crisis to crisis. The good news about crisis is: it's a chance to shake out all the problems and start out fresh. The bad news is: crisis kind of wears on a body. You might want to take a few days off afterwards. John McClane in crisis image swiped from Bruce Willis on the Web.